Welcome to Village of Oxford! 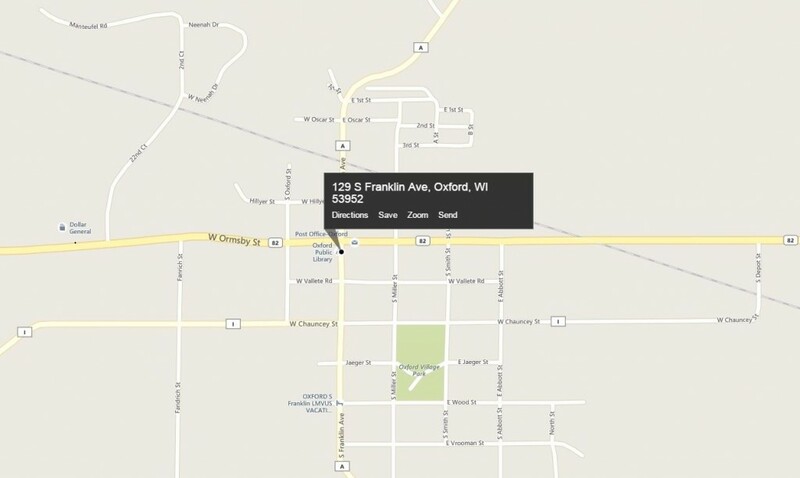 The Village of Oxford is a community located in west central Marquette County, Wisconsin. The village and surrounding area is an outdoor enthusiast paradise. There are numerous lakes, rivers, trout streams, bike trails, ATV trails, and numerous other outdoor opportunities. We are located approximately 60 miles north of Madison, 60 miles south of Stevens Point, and 25 miles northeast of Wisconsin Dells. The Village was established in 1854. Come visit, relax , enjoy the areas best 4th of July fireworks show and learn of the local legend and lore, such as Tuffy’s Corner, or Red Bridge.